When there is no eruption of an Icelandic vulcano with an unspeakable name, I will be flying out to Collaborate 2011 in Orlando next Saturday. I am really looking forward to this, as it is (still) my first Collab event! 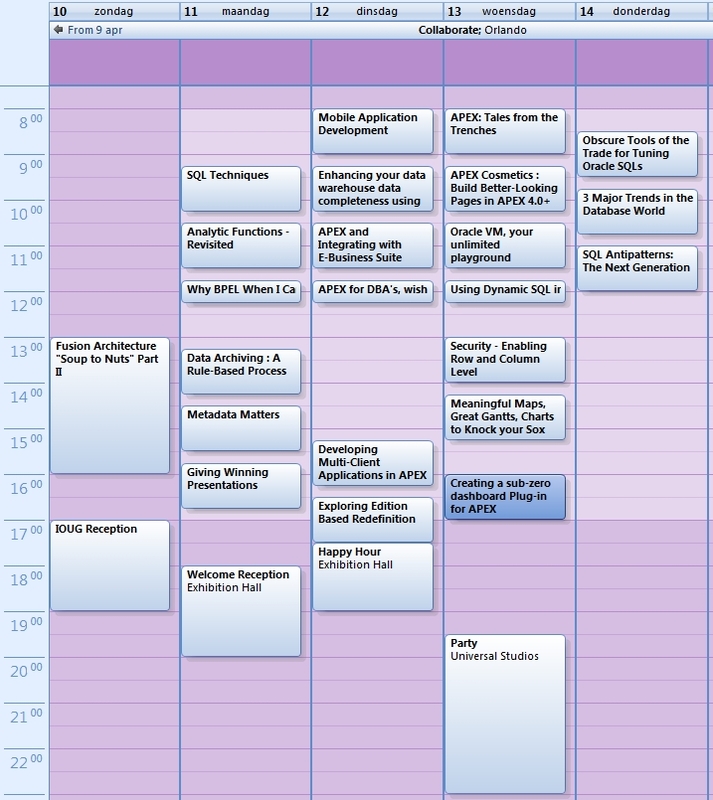 Using the Schedule Builder I also created a (preliminary) schedule for next week. There are a lot of good sessions to choose from. 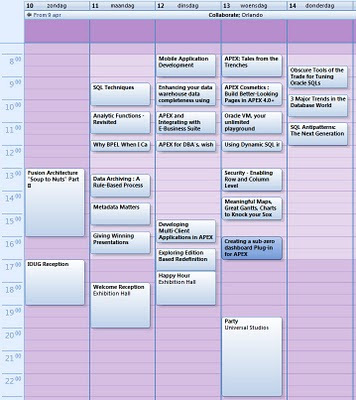 I first picked all (or almost all) APEX sessions, and then added the other promising sessions. A lot of SQL and PL/SQL and some Fusion stuff. My own session is schedule at Wednesday afternoon, just before the big party at Universal!